Danielle Guerra - dguerra@shawmedia.com Sycamore resident Carolyne Schoen (left) pushes her daughter Olivia Schoen, 10 months, in a stroller while son Nathan Schoen, 4, rides ahead Wednesday afternoon. They are passing the proposed Sober House that the county is talking about purchasing. 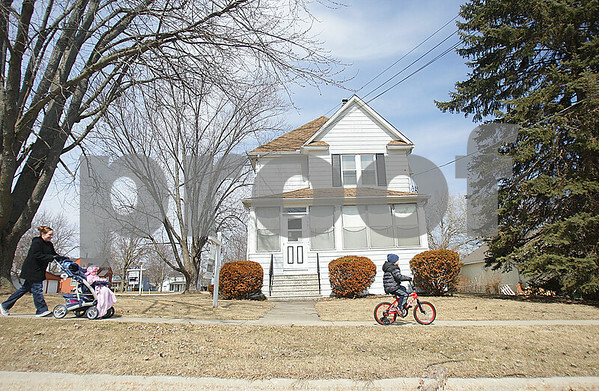 The house is located along the route the Schoen family typically uses for bike rides in their neighborhood.